We have explored the best hairstyles and nail art designs, now it’s time for every girl’s favorite accessory ever – mehndi designs for Navratri! We just can’t get enough of the thrill and excitement of navratri this year. 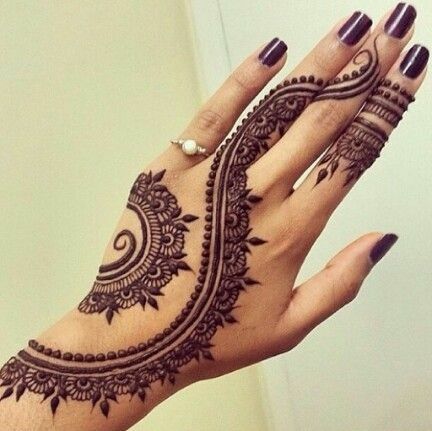 We have explored the best hairstyles and nail art, now it’s time for every girl’s favorite accessory ever – mehndi designs! 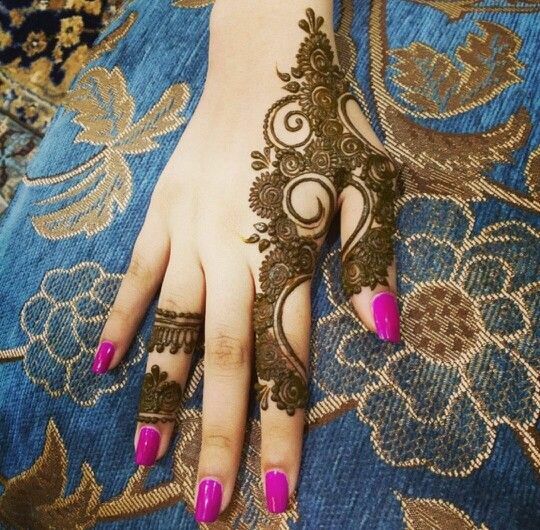 There are so many trends and must-try things out there, especially when it comes to mehndi designs. So we will help you pick the design that works the best for you. 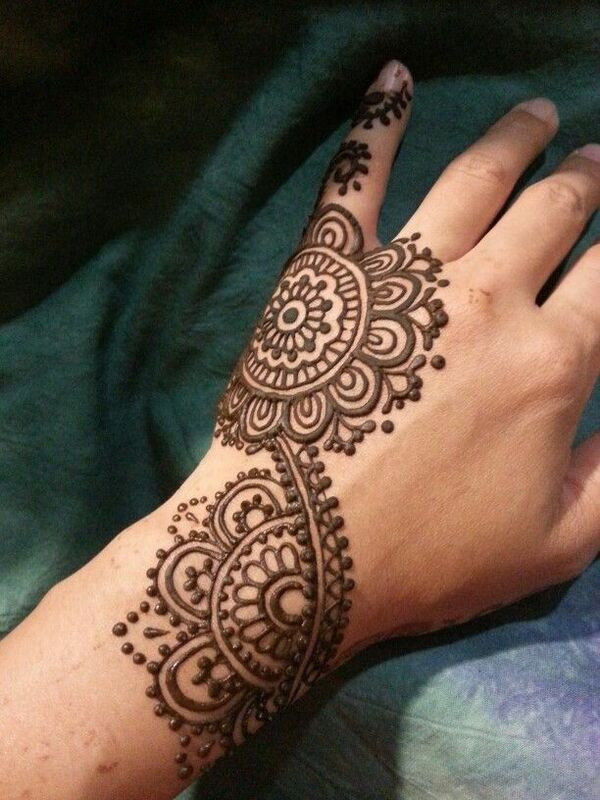 Have a look at these 20 uber-cool mehndi designs for navratri that we have compiled for you! 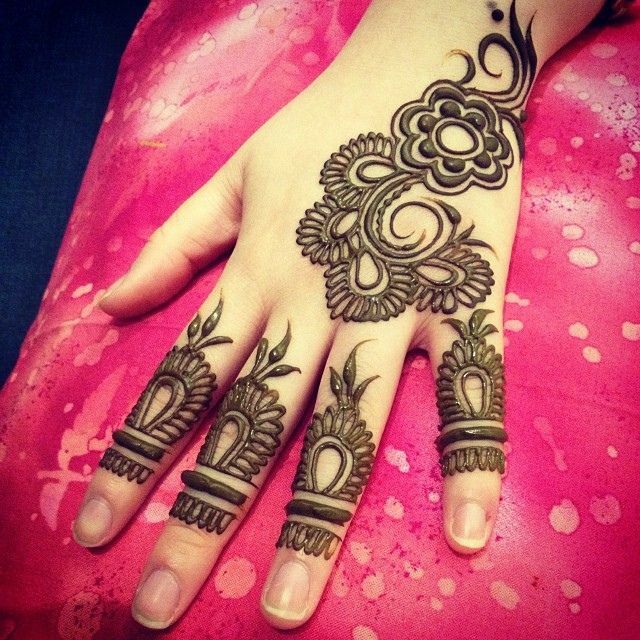 The biggest trend this season is minimalism when it comes to mehndi designs for navratri. In itself, it is a very practical trend to say the least. 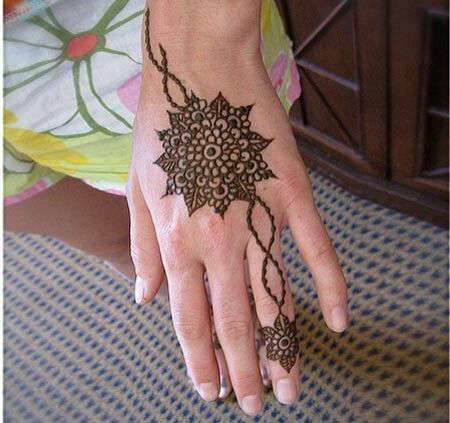 Mehndi designs which do not go further down than a few inches below your wrist are all the rage. And why not? 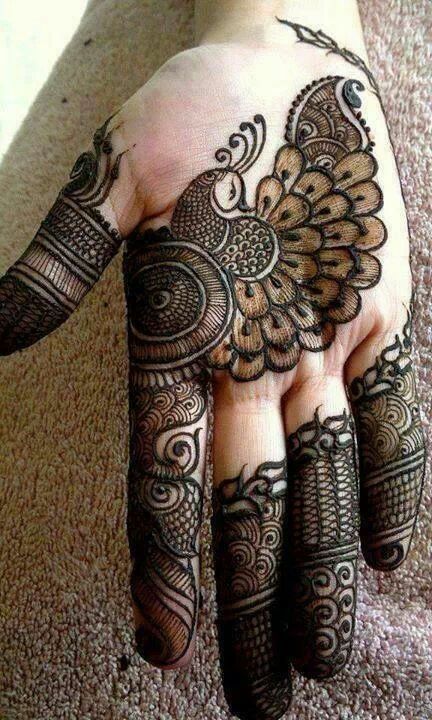 This makes it that much more simple to go to work wearing mehndi. A minimalistic design works very well with every type of clothing you may opt for this navratri. Whether it is a simple salwar kameez for the pujas, or an elaborate lehenga for dandiya, you cannot go wrong with a simple mehndi design. 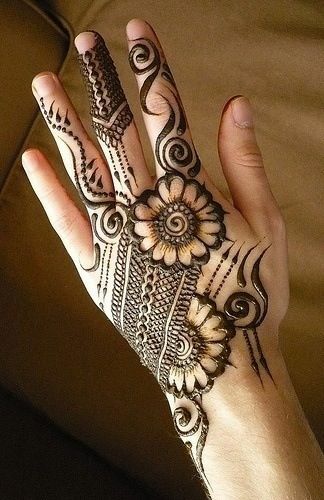 Most designs borrow from Arabic mehndi designs in great ways, especially when it comes to designing only on one finger. Most of the other fingers are kept bare or are decorated with only a small circlet which enhances the design instead of overpowering it. 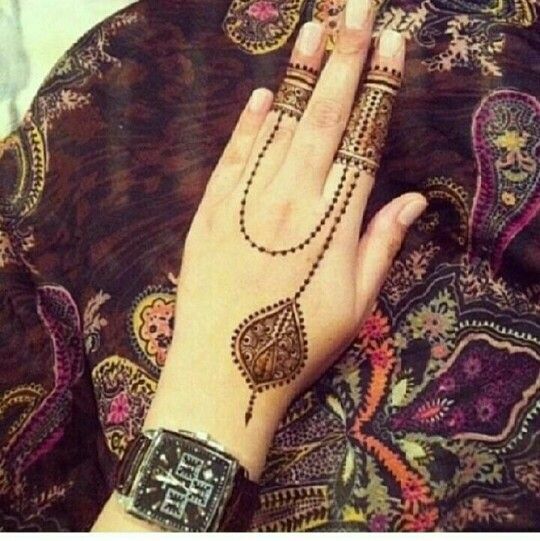 The mehndi flows across the palm to give you the impression of one piece but actually is several different, disjointed elements of design which just happen to work together. 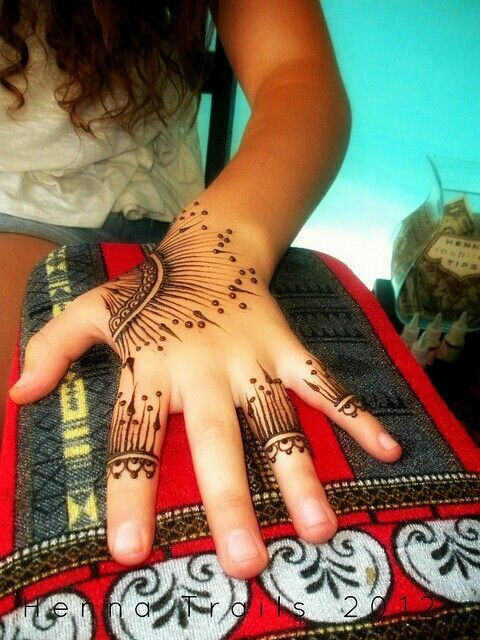 These type of designs work best on the back of your hand. 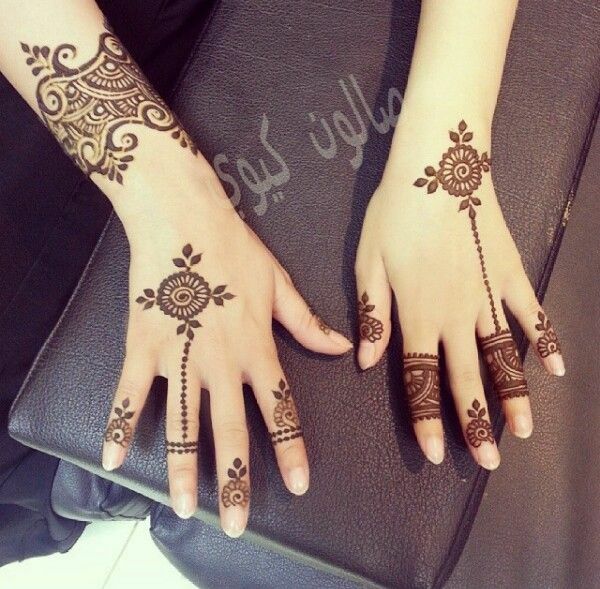 The best part about these designs is that they provide a lot of scope accessorizing your mehndi. Try something kitsch this navratri, with extremely modern designs which are centered around one impressive design piece. Some of these use westernized design influence to create a very stark and hatke design which is nothing if not impressive. 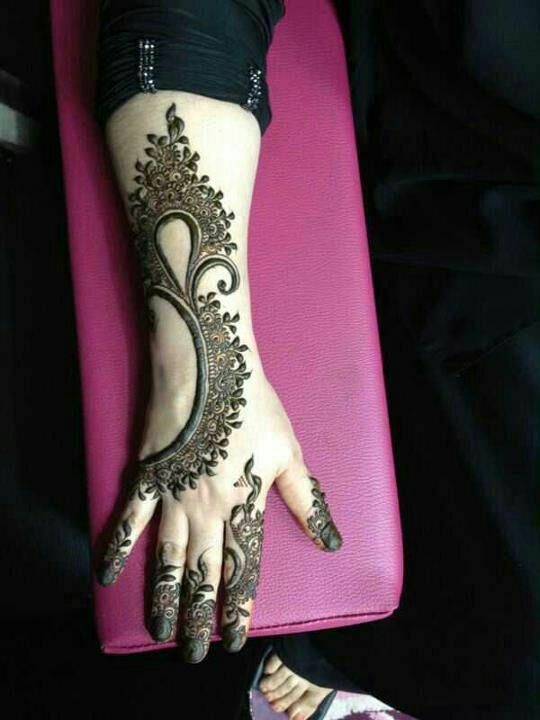 Arabic influences on this type of mehndi designs are also unmistakable in the elements and flair in which the designs are created. 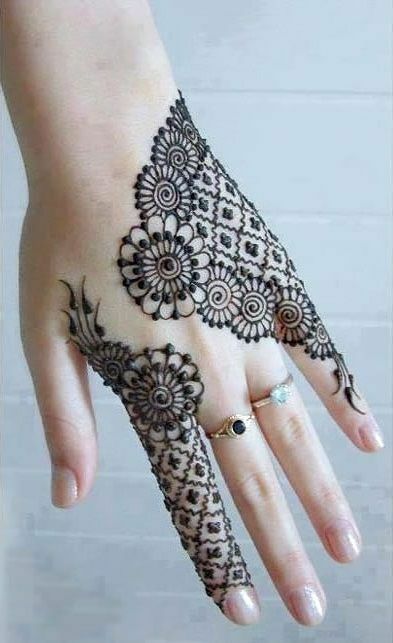 You can even try asymmetrical mehndi designs. For example, go for a design which sports a cuff on one hand and keeps the other one bear- this is a great way of adorning the one hand you keep bare or without any bangles or rings. It’s a simple cheat code if you don’t want to go overboard with the jewellery. 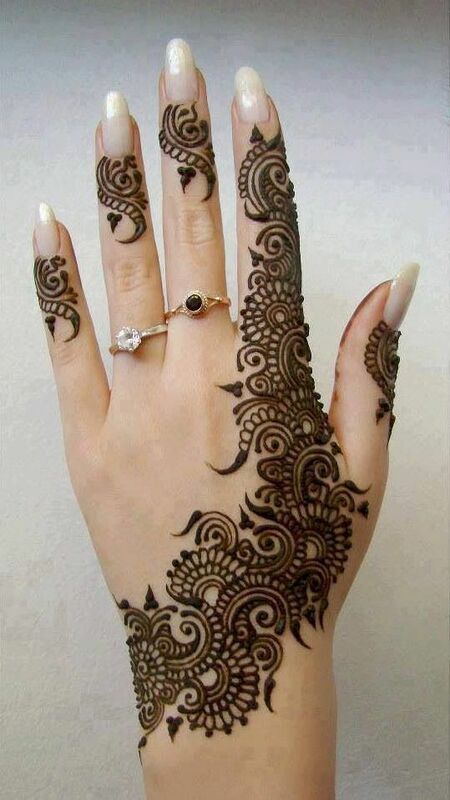 Pair these mehndi designs with our navratri special nail art for the hands that will stop the show, wherever you go!